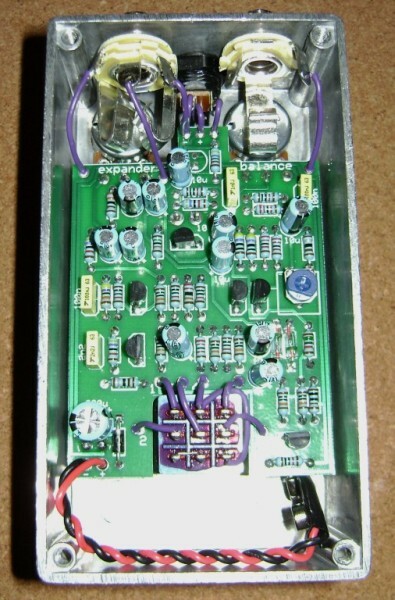 This pedal build uses the BYOC Leeds Fuzz kit, based upon the Univox Super-Fuzz of the late '60s and '70s. You may not think you're familiar with this vintage fuzz pedal, but if you've ever heard The Who's classic Live at Leeds recording, then you've heard the distinctive Super-Fuzz sound. The BYOC kit obviously takes it name from this connection, and it's a tone that's highly sought out by fuzz connoisseurs. It has a slight octave-up sound that is evident when playing up at mid-neck, but this feature is much more subtle than the octave effect of the Tycobrahe Octavia. The toggle switch lets you choose between two drastically different fuzz tones, one with a flat, open-sounding EQ and the other with a highly mid-scooped character. If you're a fuzz lover, this is one you don't see/hear every day and a worthy addition to any fuzz pedal collection. 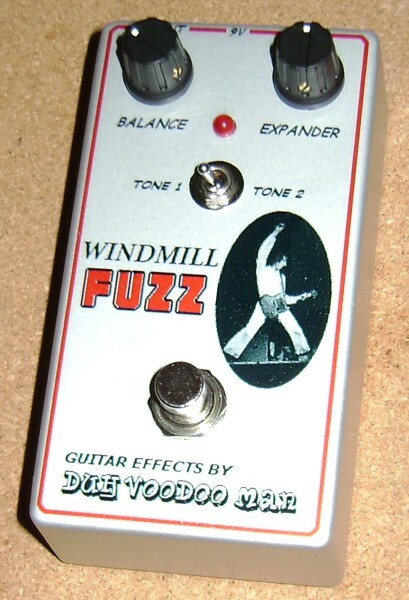 In a tip-of-the-hat tribute to Pete Townshend, I call mine the "Windmill Fuzz" and include a photo of Pete doing his famous "windmill" maneuver on the pedal face.